Midwest Equipment Company is the Midwest’s leading supplier of commercial kitchen restaurant equipment, and strive to provide the highest level of service to our customers. We sell and service the highest quality lines of kitchen equipment from these brands: Taylor, Broaster and Flavor Burst. We boast decades of strong financial performance, continue to grow and are now employee owned! We keep our customers because we start with the customer and we take care of the customer. 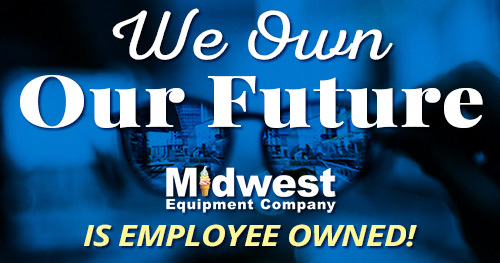 Midwest Equipment Company offers competitive wages, a full comprehensive benefit package, 401k matching program, paid vacation, personal and sick time. On the job and Factory training is provided. Our objective is to make every effort to provide equal employment opportunities in all job categories to individuals who are qualified for and/or trainable for a position based on job-related qualifications such as education, training, or experience. This applies to all individuals, regardless of race, ethnicity, gender, gender identity, gender expression, sexual orientation, ability, age, veteran status, national origin, religion, pregnancy status, genetic information, or any other status protected by applicable law. …we want you! Check out our open job positions, and apply today!